HANGZHOU, Oct. 5 (Xinhua) — Seven workers were injured in an explosion at a chemical plant in Zhejiang Province, authorities said on Monday. 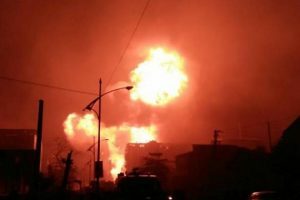 The blast occurred at around 10:30 a.m. Monday at Zhejiang Hongxiang Chemical Co. Ltd, in Shangyu City, the local authorities said. Two of the injured are in a serious condition, they said. 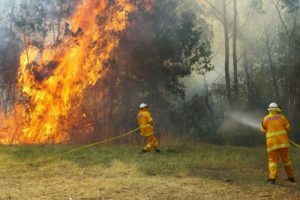 About 70 firefighters and 22 fire engines rushed to put out the blaze and prevented the flames from reaching a nearby warehouse containing 50 tonnes of inflammable chemicals, including sodium chlorate.